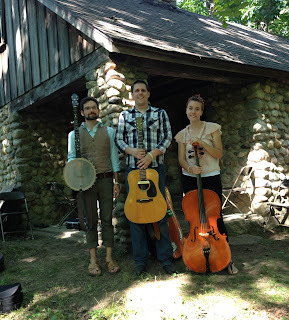 "Jon Ponder's enthusiastic set at The Yellow Barn was excellent. His upbeat songs and the stories he shared were very entertaining. His solid guitar playing and melodic vocals made it a memorable show. We hope to have him back for another show soon." I am a singer/songwriter and a librarian based in Ann Arbor, Michigan. Using acoustic roots instrumentation and styles that range from old-time string band music to country to Americana folk and folk-rock, I write songs with memorable melodies, clear images, and stories that take listeners to specific times, places, and experiences. More than once, after hearing my song “Turn That Plow” about my Grandpa running away from the farm to join the Army, audience members have come up to me and said, “That song was about my Dad,” or “My Grandpa told stories just like that.” My performances have also been known to cause both young and old to dance, clap, and stomp their feet. Click here for text file of short and long versions of press and promo text. 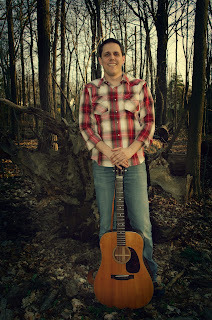 "Jon Ponder's lyrics are filled with rich details [and] balanced with hummable melodies and danceable rhythms." My new album, Many a Good Long Year, contains 12 songs interspersed with family recordings of storytelling by my grandparents and music playing by my Grandpa and his brother. My Grandpa was a born storyteller, as well as a singer and guitar picker, who grew up playing music with his brothers in East Texas. 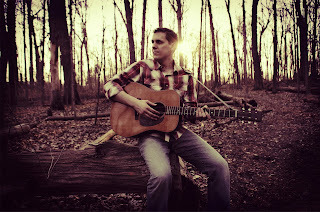 A few years ago, I started writing songs in the style of old-time string band music like they used to play, and I wrote lyrics based on my Grandpa's stories of growing up on the farm in the 1920s and 30s and then leaving to join the army at age 17. For this album, I intertwined these songs about family stories with more contemporary sounding songs that tell some of my own stories. "A family affair of American song...Deeply sincere slices of the modern 'American Family' experience...satisfying as a hot, home-cooked meal on a cold Michigan winter night. I invite you to join the family." Jon Ponder (vocals, guitar), Danielle Gartner (harmony vocals, cello), Eric Anderson (banjo, mandolin), Allison Stanley (drums), Robbie Linkner (bass), Bruce Gartner (fiddle), Jason Dennie (mandolin), Mark Lavengood (dobro), Drew Howard (pedal steel), Recorded by Jim Roll, mixed by Ian Gorman, mastered by Glenn Brown.